U.S. domestic counter-intelligence and foreign espionage are supposed to be divided between the FBI at home and the CIA abroad. In practice, however, the lines between threats foreign and domestic are often difficult to discern, and allegations that Russian intelligence collaborated with Pres. Donald Trump’s campaign to illegally influence the 2016 presidential election pose one such challenge. There are rarely positive outcomes from political struggles aligned with opposing sides in international conflicts, but aside from the immediate scandal around Comey’s firing, we must step back and see how the FBI’s history as a national security agency targeting substantial portions of the American public got us here today. In this context Comey’s sacking is less a shocking break with tradition and more its latest, and unavoidable, manifestation. The FBI saw its transition from a small team of investigators in Washington, D.C. to a nation-wide network of federal police at the moment where radical politics posed probably its most legitimate threat to public safety in the country’s history—the so-called Red Scare in 1919. The Bolshevik Revolution in Russia in November 1917, Germany’s Spartacist uprising in January 1919, the communist revolutions in Hungary and Slovakia in 1918, a wave of grassroots factory takeovers in Italy and the launch of the Irish War of Independence in January 1919 all seemed to signal a long-awaited moment of global revolution. German and Russian revolutionary thinkers had extensive influence with U.S. leftists, and the social conflicts fueling these crises had also sent waves of immigrants from Germany, Russia, Italy and Ireland to the United States. They brought these same ideas to bear in their new country. In February 1919, workers in Seattle organized a general strike that shut down the city’s industries for nearly a week. The workers organized a Soviet-style “General Strike Committee,” demonstrating that communist tactics from Europe could be translated into U.S. industry. This preceded nationwide strikes in the crucial steel and coal industries, as well as violent clashes during May Day demonstrations that same year, killing workers in New York, Cleveland and elsewhere. So-called race riots—similar Russian anti-Jewish “riots” of that era are now called pogroms—also killed many more in at least three dozen cities. Amidst all of this a small group of Italian-American anarchists began a nationwide mail bomb campaign targeting top U.S. political and business officials. One of these targets was U.S. Attorney General A. Mitchell Palmer, who responded by securing a major expansion of the Bureau of Investigation—then called the “BOI”—and identifying key political targets with the help of a 24-year old library clerk named J. Edgar Hoover. Hoover brought his librarian skills to bear by cross-referencing intelligence reports about various radical and left-wing leaders, facilitating the “Palmer Raids” which helped crush the uprising in those years. Hoover, of course, went on the take over the BOI and saw its rebranding as the FBI in 1935. In order to minimize comparisons to the Nazi and Soviet secret police forces of those eras, the FBI spent a great deal of time and energy promoting its pursuit of high-profile outlaws and bank robbers such as Charles “Pretty Boy” Floyd, John Dillinger and George “Machine Gun” Kelly. To this day, public perception of the FBI has much more to do with snatching bank robbers than with its political efforts. To the extent that this perception has shifted over the years, the credit should go to the Citizens Commission to Investigate the FBI. The Commission was a small band of politically-motivated burglars during the early 1970s whose one major action could be considered perhaps the most successful military-style operation ever undertaken by a group of pacifists. The eight activists were recruited primarily by Bill Davidon, a mathematics professor at Haverford College in Philadelphia. Davidon drew from the ranks of pacifists engaged in breaking and entering draft board offices and burning the records used to conscript soldiers for the Vietnam War. This strategy took advantage of existing illegal activities among the conspirators to prevent security breaches in the Commission’s operation. 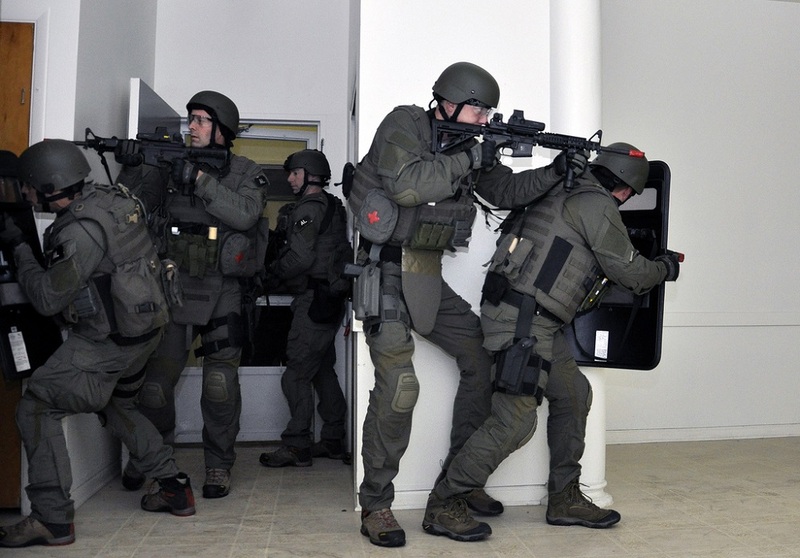 The eight conspirators identified a small FBI “resident agency” office in the Philadelphia suburb of Media, Pennsylvania, and surveilled it for months. 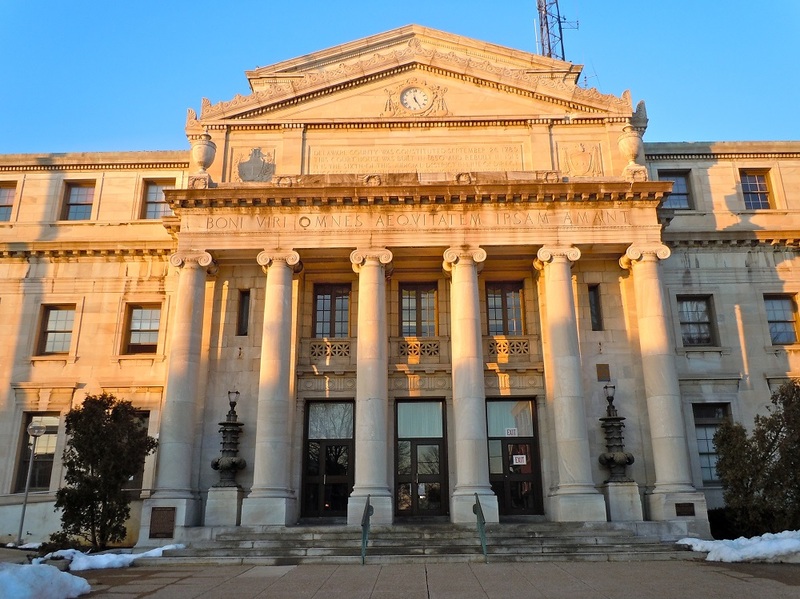 They studied the security procedures at the office, and knew that at night only the building’s manager and a guard at a neighboring courthouse would be keeping watch. One member trained in locksmithing, and one of their female members acted as a Swarthmore College student to interview the agent in charge about “opportunities for women at the FBI” while getting a look at the office’s inside layout. They chose the night of the Muhammad Ali-Joe Frazier “fight of the century”—May 8, 1971—to strike, when the guard and manager were likely to be paying more attention to the bout than their regular duties. The lock-picker of the group could even hear the fight on the manager’s T.V. directly below him when he broke into the office. The files they secured exposed widespread illegal activity by the FBI, prompting further investigation by journalists and ultimately the historic U.S. Senate’s Church Committee to expose the full scope of COINTELPRO. The name was federalese for “Counter Intelligence Program” and began in 1956 as an effort against the Communist Party USA, which was then under the control of the Soviet Union. By the late 1960s, however, the Communist Party had become marginal on much of the American left, and revolutionary groups were only a small fraction of the “threat” opposed by the FBI. The bureau used both illegal and legal means to disrupt the mainstream of the anti-war, women’s liberation and civil rights movements. Federal agents infiltrated peace organizations, surveilled feminist “consciousness raising” groups—that amounted to a form of grassroots group therapy in many instances—and notoriously tried to get Martin Luther King, Jr. to commit suicide. The files captured by the Citizens Commission to Investigate the FBI indicated that more than three-quarters of the actual law enforcement work in this small office in a quiet suburb was spent on political policing. The targets of this work further indicate that the FBI’s definition of “national security” extended to anything that might challenge the powers that be—whether that be in the halls of power or in the bedroom. Much has been written about how the promise of the 1960s’ social movements collapsed into the “Me Generation” of the 1970s and 1980s, but too few observers have acknowledged the truth—the FBI led an armed, clandestine campaign to destroy these movements and disrupt their leadership. The continued problems of race, gender, military aggression and economic injustice are testaments to the success of these efforts. As the FBI successfully suppressed social movements for change in the late 1960s and early 1970s, the focus of its security efforts shifted to the War on Drugs. Crack cocaine in particular served as the nexus between domestic law enforcement and global national security interests in that much of this cocaine was brought into the country by Central American nationals using their trafficking income to fund U.S.-backed right-wing paramilitaries in Nicaragua and other countries. In 1986, one such plot involved Honduran Gen. Jose Bueso Rosa, a CIA collaborator and supporter of the Nicaraguan Contras, based in Honduras. 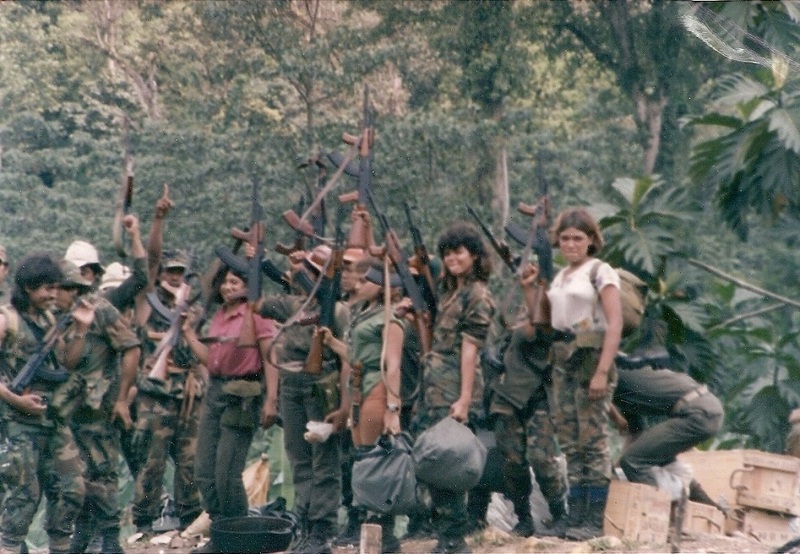 Rosa plotted with other officers to kill Honduran Pres. Roberto Suazo Córdoba and launch a coup, financing the plot with $40 million earned from shipping cocaine to the United States in the midst of the crack epidemic. The FBI intercepted this shipment and captured Rosa in Chile. In an extraordinary series of private messages, U.S. Marine Lt. Col. Oliver North schemed to win the FBI over to a plan to turn Bueso loose after a brief stint in a minimum security prison in Florida. “Our major concern… is that when Bueso finds out what is really happening to him, he will break his longstanding silence about the Nic Resistance and other sensitive operations,” North wrote. This assistance from the FBI and associated federal law enforcement agencies meant that Bueso served only five years in that relatively comfortable setting while at least one conspirator under his direction served more than 30 years in much harsher conditions. This was just one of many documented instances of FBI collusion with CIA and international drug traffickers connecting the devastation of U.S. cities with the suffering of Central America. Still, FBI’s political activities waned in these years along with the fortunes of progressives at large. This shifted in an unexpected way in the early 1990s when the primary threats to the status quo seemed to come not from the left, but from elements of the right and apolitical groups that sought to put distance between themselves and mainstream U.S. society. The FBI and its law enforcement allies needed enemies to justify their budgets and powers, and these communities served as that justification. The most notorious of these was the federal siege of the Branch Davidian compound in 1993. A small religious cult tracing its roots back to the 1930s, the Branch Davidians eventually settled in a rural area outside of Waco, Texas. The group had no real politics beyond believing that the apocalypse was imminent, but this hardly distinguished them from many other Texas churches. The Branch Davidians made a significant portion of their income selling guns and accessories at gun shows around the state. The Davidians’ leader—David Koresh—decided in 1991 to invest in building and stockpiling AR-15 semi-automatic rifles to sell at a profit if federal assault rifle regulations went into effect. The guns could also come in handy if Armageddon did in fact come to pass—a win-win situation for the group. The raid, of course, made a splash by leading to the deaths of four agents and six Branch Davidians—each side claiming justifiable homicide and self-defense. 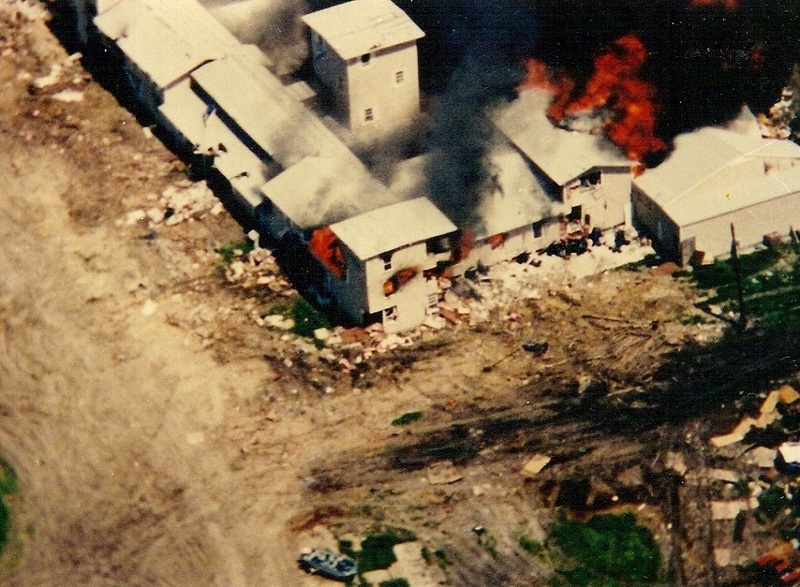 The FBI took over during the standoff, and for 51 days sought to negotiate with the Branch Davidians while also using psychological warfare techniques such as sleep disruption to try and drive the group out. On April 19, 1993, the FBI began its final assault on the compound, using combat engineering vehicles—CEVs, modified M-60A1 tanks with their cannons replaced with battering rams—to punch holes into the building and inject CS gas. After sustaining fire from Davidians in the compound, Bradley infantry fighting vehicles capable of firing CS ferret rounds replaced the CEVs. The FBI claims the Davidians themselves started the fire in an act of self-immolation. Advocates for the Davidians claim that the federal assault sparked the blaze, and that infrared reconnaissance footage shows FBI agents firing on possible escape routes, pinning people in the building. Seventy-six people were killed in the final conflagration, including 20 children. Many in the gun rights and other libertarian movements saw this as a message from the federal government about efforts to live apart from conventional American society. The disastrous outcome of the siege further led to a backlash that culminated in the Oklahoma City Bombing in 1995 as well as an escalated FBI campaign against the militia movement and other right-wing extremists throughout the 1990s. This all changed in the immediate aftermath of the 9/11 attacks, when most of the post-COINTELPRO reforms made to limit the FBI’s potential for abuse were stripped away in the Patriot Act. Since then, the FBI claims to have focused its energy on rooting out the threat of jihadist terror at home. In reality, the bureau’s efforts have been far less noble. The FBI has earned high-profile headlines about its success at breaking up a variety of fearsome plots, but these threats are often concocted by FBI agents themselves to snare unwitting “terrorists” that were minding their own business or who would better be classified as internet trolls. This obviously plays no role in reducing the threat of terrorism, but their actual value seems to be at least two-fold. First, they support a public perception that the FBI is doing something to prevent terrorism, thus creating a political base for funding requests and expanded powers. Second, they fuel a culture of fear among many Americans that believe that widespread terrorist plotting is all around them, thus creating an even stronger demand for expanded law enforcement powers and U.S. military adventurism abroad. It is here that we can see how the FBI’s history of political policing leads directly to the current Comey firing scandal. 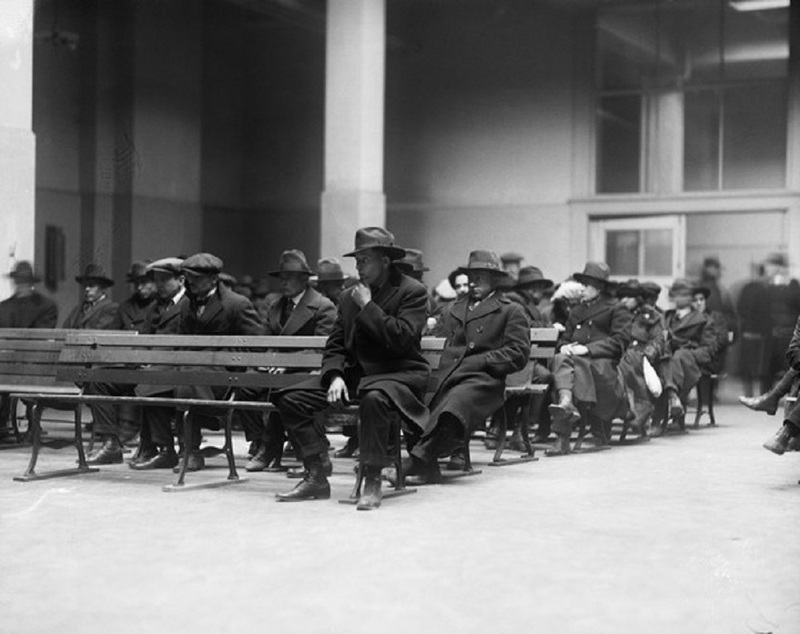 After founding a political police agency in the wake of the Red Scare in 1919 and 1920, the FBI went after the most progressive and most effective organizers in the labor and civil rights movements. Union membership peaked in 1954—the same time as Sen. Joe McCarthy’s peak of influence. McCarthy’s campaign was led by J. Edgar Hoover and the senator’s chief counsel Roy Cohn—a major figure of the hard right, a protege of Hoover’s and Trump’s political mentor. While the slow decline of the U.S. industrial middle class thus set in, the FBI targeted progressive movements that were generating creative solutions to a variety of social problems. The bureau disrupted these movements, undermined their most effective organizations and discredited, terrorized or killed the most effective leaders. This de-politicized communities at the forefront of America’s 1960s upheaval, while at the same time the drug war legally disenfranchised millions of citizens. The collaboration of federal agencies including the FBI with major, politically connected drug dealers further accelerated the devastation of these communities. Beginning in 2015, Trump emerged—speaking to the abandoned industrial class, taking advantage of the lack of solutions from traditional politicians and suppressed political engagement, decrying crime-ridden cities and promising to protect us all from terror plots which federal agencies have played a role in hyping up. 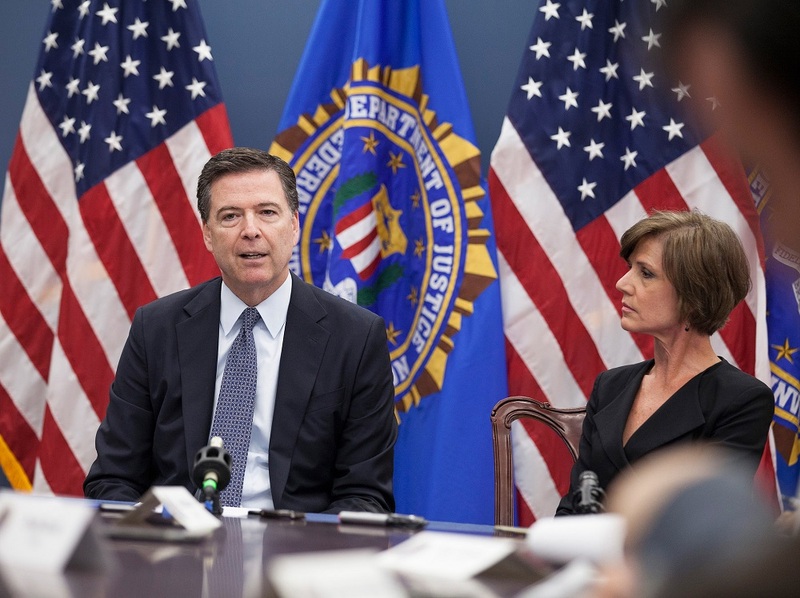 Reports during the 2016 campaign suggested that a substantial number of FBI agents appreciated all of this about Trump, and James Comey had trouble navigating the political winds whipping him from all directions.The result was a back and forth self-contradiction that ultimately combined with the threats posed by the Russia scandal to force his ouster. And as for that scandal, which definition of “national security” will the FBI stick with? The one that sees the interference of an authoritarian strongman and oligarchs in America’s election process as a threat to constitutional order, or the one that sees these figures and Trump as the best possible protection against the communities that are coalescing again and studying history in a new way? If we are going to navigate these waters, we must remember that history—and challenge those who claim to protect us.